Young undocumented immigrants who were brought to the United States as children and have been approved for a federal deferred action program that allows them to stay and work in the country will now be allowed to get driver’s licenses in Nebraska. Nebraska lawmakers voted 34-10 on Thursday to override a veto from Gov. Pete Ricketts, ending Nebraska’s status as the only state to deny driver’s licenses to Dreamers who have been approved for the Deferred Action for Childhood Arrivals (DACA) program. For 19-year-old Dayana Lopez, the vote to override the governor’s veto is a big victory. “At the moment, I think the best word to describe how I’m feeling is overjoyed,” said Lopez, a college student at the University of Nebraska who is a DACA recipient. She came to the U.S. from Mexico when she was 4 years old. 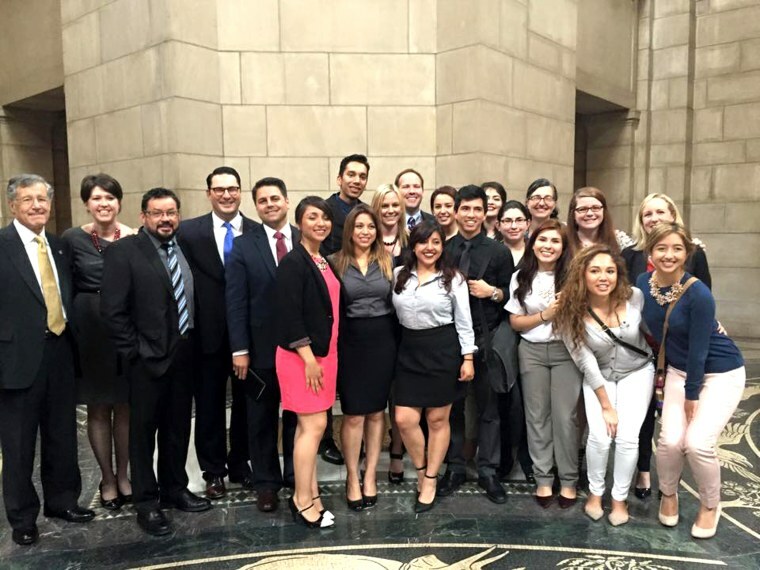 Lopez is among the more than 2,700 "Dreamers" - as many of the immigrant youth are known - in Nebraska who have been approved for DACA and who stand to benefit from the bill, known as LB 623. “There are thousands of bright, young, educated immigrant youth in our state who are in need of a legal right to drive, and that’s what this bill is intended to do,” Sen. Jeremy Nordquist of Omaha, the bill’s lead sponsor, said prior to the vote. He added that the bill won support from a broad coalition of business, religious and agriculture groups. Ricketts vetoed LB 623 on Wednesday several days after Nebraska lawmakers approved it with a 34-9 vote. The Republican governor said in a letter to state lawmakers that he opposed the bill because he was concerned it would provide driver's licenses to “a much broader” group of people who are in the country illegally, not just DACA recipients. Nordquist responded to Ricketts' veto letter prior to the vote on Thursday, saying the governor’s comments are “completely inaccurate.” He noted that Nebraska is already issuing driver’s licenses to immigrants who have other forms of deferred action and that the state is singling out DACA recipients by denying them driver’s licenses. Lopez said she can’t wait to apply for a driver’s license, which will allow her to drive to school and no longer depend on others for rides. She also thanked Nordquist for his efforts to push the bill forward, as well as state lawmakers and community leaders who supported the bill.